When you hire the Venture Centre 2000 for your special day, you will have sole access to all the downstairs facilities and access to the Baden Powell Hall on the Friday evening after 9.45pm. 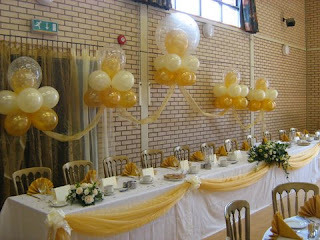 Venture Centre staff will set the hall to your requirements and clear all tables and chairs at the end of the evening. The Venture Centre 2000 is a fully licensed premises with a full range of Beers, Wines and Spirits. The Bar is available from 11.00am -11.30pm with staff at no extra charge. We are able to offer competitive in-house catering, white linen table clothes, and drinks package, to suit your requirements. We also have a white china wedding service for hire if you are making your own catering arrangements.